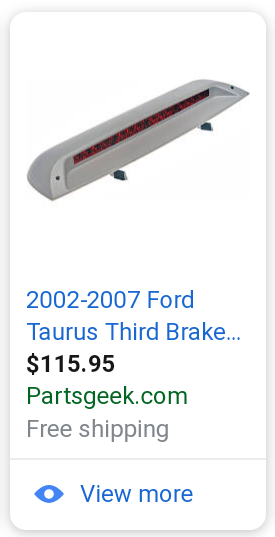 Taurus Car Club of America : Ford Taurus Forum > Generation 1-4 Taurus & Sable Platform (1986-2007) > Electronics, Security, Audio and Visual > LED high-mount brake lamp added to the list. 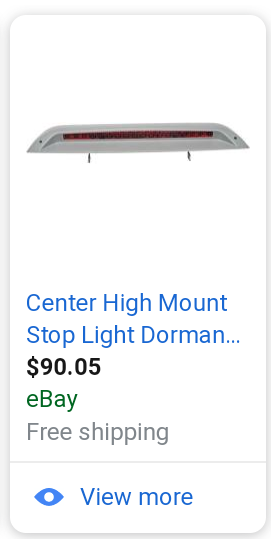 LED high-mount brake lamp added to the list. I just got pulled over for this stupid light (well lack thereof) which at the time I considered a blessing because I had no clue it wasn't working. The cop gave me a warning so I figured hey, I'm glad someone told me now lets get it taken care of. HA!!! Little did my ignorant a×× know this would cost me over a HUNDRED DOLLARS!!!!!! I've owned the car for a little over a month and replaced sensors, relays, radio, at least 80% of the steering/suspension, ac compressor, injectors, and complete fluid change. 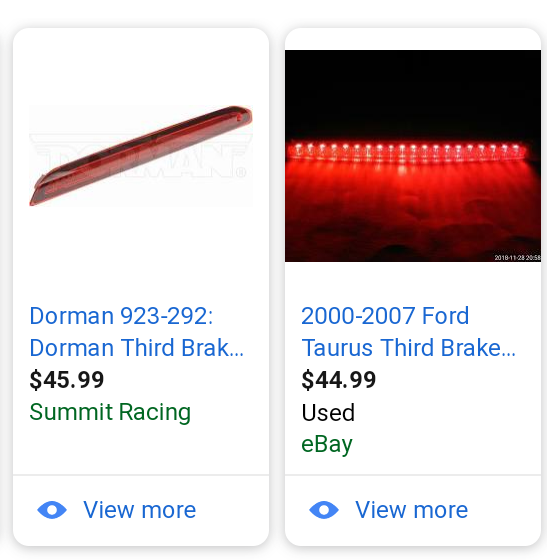 I'm still working on some wicked electrical drama, a leaky driver door, a mysterious oil leak etc... And now this bs hella expensive brake light. I think I've had enough. I love my bish but she's about to drive me to jacking off lol!! I didn't want help with anything just wanted to vent about it. I know just about everyone here has been there. Just read, shake your head and laugh at me, and reminisce the time when you about washed your hands lol. Last edited by jag1959; 04-06-2019 at 09:24 PM. It should be like $10 at a junkyard. Wouldn’t surprise me if it’s just a bad solder joint or wiring issue - or even a fuse. Yes the salvage yard is my plan of action. I'm not sure about the wiring but the fuse is good. +1 Check wiring or solder joints if whole array is out. Junk yard one will probably go out soon too if solder issues. It gets pretty toasty back there with the Sun and UVs. The OEM parts industry is such a rip off. Before my dad started his own business, he worked at a parts distributor that serviced bodyshops and the like. I got to see their price lists once in a while, and was always appalled. Some fender that cost them literally $20, was sold between $150 to $200, depending whether it was wholesale, insurance, or retail. So between that and my experience in manufacturing, I already know that $100 taillight does not cost them more than $15 a unit to produce, probably less. A few LED's at pennies apiece, a sliver of circuit board, and some injection molded plastic. It'll really make you appreciate places like Pull-a-part. I can't even guess how much money they've saved me over the years. Yes indeed Jason!! Pull apart has definitely saved my sanity!